Shirt and jewellery available separately. 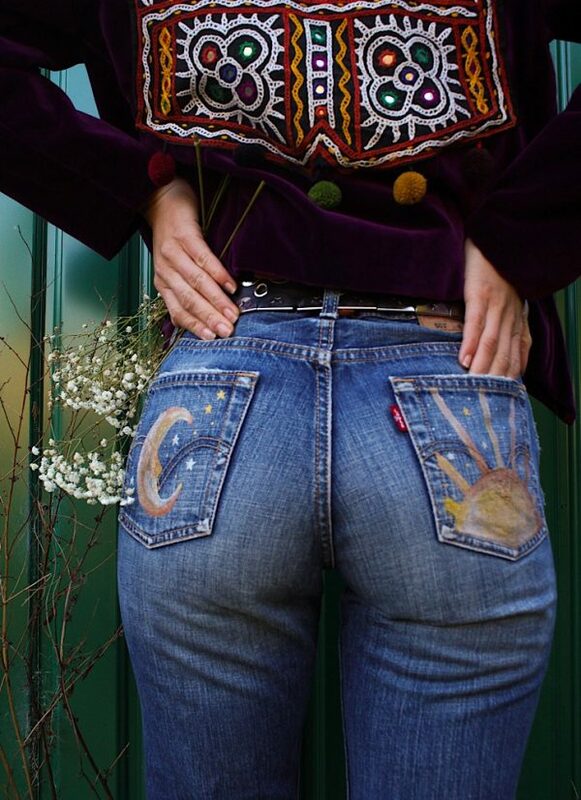 A pair of fabulous reworked mid-blue vintage jeans. Painted by hand, by Sarah! 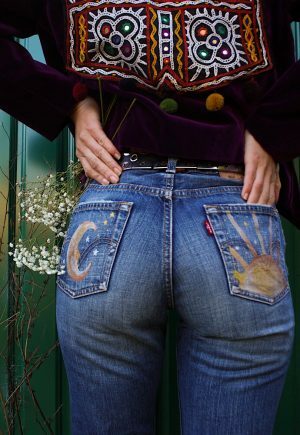 As each pair is a reworked thrifted garment they are one-off or limited edition; we can’t guarantee there’ll ever be another pair again! Please note a lower price reflects jeans with slightly more wear and tear (frayed hems, small holes etc). A higher price is for a pair of good quality jeans. See drop down options for full sizings. Please check measurements carefully before ordering.